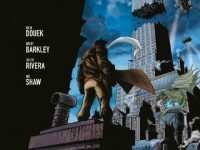 Our latest round-up of the best digital index comics features: politics, religion and reality TV stars in Ned Hartley’s Anti Gods; clueless cops in a small town with Tally Burtram’s Bajo Mano; Make Garley’s immortal retro killing machine the Samurai Slasher; and superhero hitman webcomic Turncoat from Ryan O’Sillivan and Plaid Kraus. 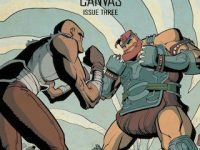 In the fantastical world of MonkeyBrain Comics’ Kings and Canvas, duels are fought in a boxing ring rather than on the battlefield which creates a truly original take on this well worn genre. 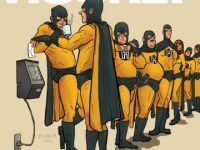 But will this unique approach deliver a knock-out punch or will it wind up falling to the mat? 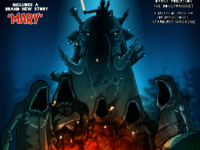 We’ve been inundated with fantastic new digital indie comics this month, so here are some more of our favourites featuring: Andy Bloor’s super anthology Andythology; sci-fi meets religion in Anti Gods; and a double bill of Nordic/Viking action in Madius Comics’ The Kings Leap and Black Jack Press’ Saga of the Northmen. 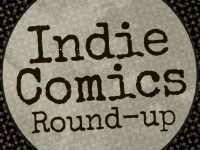 We start the new year with first our collection of the best indie digital comics featuring: punk rock tales in Chunks, a all female horror anthology from Hellcat Press called Dark Lady; lots of people getting punched in the face in Punchface; and some experimental slice of life tales in Sliced Quarterly. 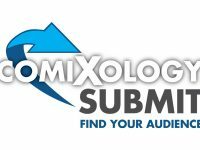 It’s been another amazing year for digital indie comics and so picking the best of ComiXology Submit 2015 has not been an easy task, but here we present our top 10 which features cybernetic sleuths, nightmarish pyramids, Victorian action heroes and an otter with a turtle on his head.